Tahiti is nestled in the archipelago of the Society Islands. With a population of approximately 183,645 people, it is the largest island in the Windward Group of French Polynesia located in the central South Pacific Ocean. There are breath-taking attractions on this majestic island. Popular attractions include Musée Gauguin, Papeete Market and Notre-Dame Cathedral. Get ready to explore the tropical magic that awaits with cheap flights to Tahiti. Tahiti is home to Fa'a'ā International Airport (PPT), which is a 20-minute drive from the city centre of Papeete. Markets are an integral part of the Tahitian way of life. 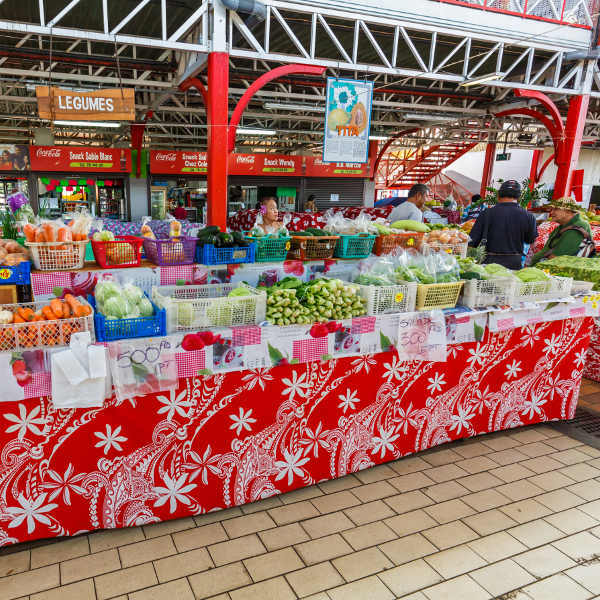 You’ll find fruits, vegetables, oils, hats and handbags at Papeete Market. Visit the markets at sundown to see local fishermen bringing in their catch. Tahiti is home to a sensational range of spectacular waterfalls. These incredible waterfalls afford you the bliss of being immersed in nature along with the aural joys of the teeming water. Venture to a village called Teahupo’o located on the south-east coast of Tahiti. This is where you’ll find epic waves to surf. It is also where the Billabong Pro Tahiti surf competition takes place. The island of Tahiti is blessed with beautiful weather year-round, so the best time to visit depends on what you’re seeking. If you wish to experience the tranquility of the island vibe, without the tourist crowds, consider visiting during the months of November to April. This time of year is when it is most humid as this marks the summer season, but you are sure to find relief in the beckoning turquoise waters. The summer months are when you’ll find cheaper prices on the island. The peak season occurs from May to October, and the island attracts many visitors during June, July and August. There are so many incredible events held during the peak season, including the Billabong Pro (surf) in August. Tahiti is a visual dream come to life; it symbolises the epitome of tropical relaxation. There are so many incredible island views to take in, including epic sunsets, palm trees and great mountain landscapes. The island is comprised of Polynesians who represent the majority of Tahiti’s population along with Europeans, Chinese, and many locals with mixed heritage. Turquoise lagoons and hibiscus flowers are just some of the things that are warmly associated with Tahiti. A spellbinding time is guaranteed as you allow yourself to switch into holiday mode and take in the bliss of the Tahitian air. An adventure amidst this paradise is sure to be life changing! Diving, surfing, cycling and whale watching are some of the amazing activities worth mentioning! Embrace the tales of the Tahitians’ history and partake in the amazing culture. 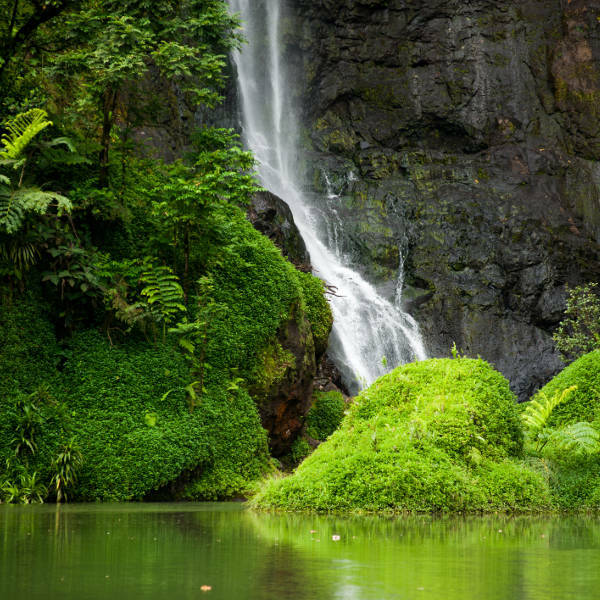 Remember to take in the sights of volcanic mountains and beautiful rainforests. Compare several airlines and book your cheap flights to Tahiti online at Travelstart! You will need to be up-to-date with all routine vaccinations. These vaccines include measles-mumps-rubella, diphtheria-tetanus, pertussis, varicella (chickenpox), polio and your yearly flu shot. • Keep a watchful eye over your valuables at the beach. • Be cautious when walking at night in downtown Papeete. • Do not flash your camera, cellphone and wallet/purse.